We all dread that moment we get mail from our dealership telling us we have a software update. Making time out of our busy day to sit in the waiting area is never something to enjoy. 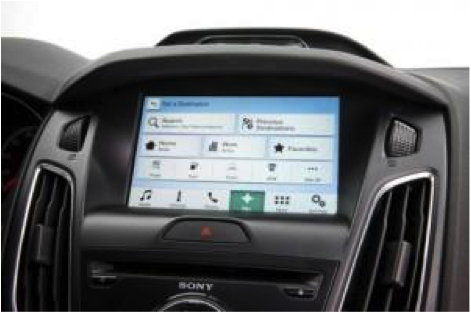 But Ford has announced, with their new Sync 3 infotainment system, they will be performing wireless updates. These updates work once the owners (ourselves) connect their infotainment system to their Wi-Fi network. Once this is done, the system will detect updates and ask if we would like to initiate a download. The infotainment system’s hard drive will be large enough to store numerous updates and features, similar to that of a phone or computer. Once the owner performs the initial connection/download, they can give permission to let Microsoft Azure, a new cloud service, automatically download updates when the system detects your Wi-Fi connection. And yes, I did say Microsoft. Even though BlackBerry is taking over the actual Sync 3 system, the cloud will be under Microsoft’s control. This is a good team combination, in my opinion, as Microsoft and BlackBerry have experience in the technology business. Not only will consumers be able to update their systems from their Wi-Fi connection, dealerships are planning on installing Wi-Fi transmitters in their lots so the cars will be sold with the most up-to-date version of software. Now, Ford is not the first to do this, but this shows that more and more companies are beginning to go wireless – making life easier for consumers. Tesla is known for its Wi-Fi updates, as are many other brands.